This particular post is a bit shoved together I’m afraid. Just after I made these blondies, I came down with the Flu, so not many pics! But I was on a roll in the kitchen after making my Speculoos frosting – Speculoos being that delicious spread made from the cinnamony, gingery biscuits that go so well with a cup of coffee. I looked for a brownie recipe to bake the spread into and on the way discovered this recipe for Speculoos Blondies over at Tasty Retreat, which looked delicious. Preheat your oven to 160oC. Spray and flour a 9” x13” baking pan. I used my individual square pan, which meant I had to bake for a little less time. 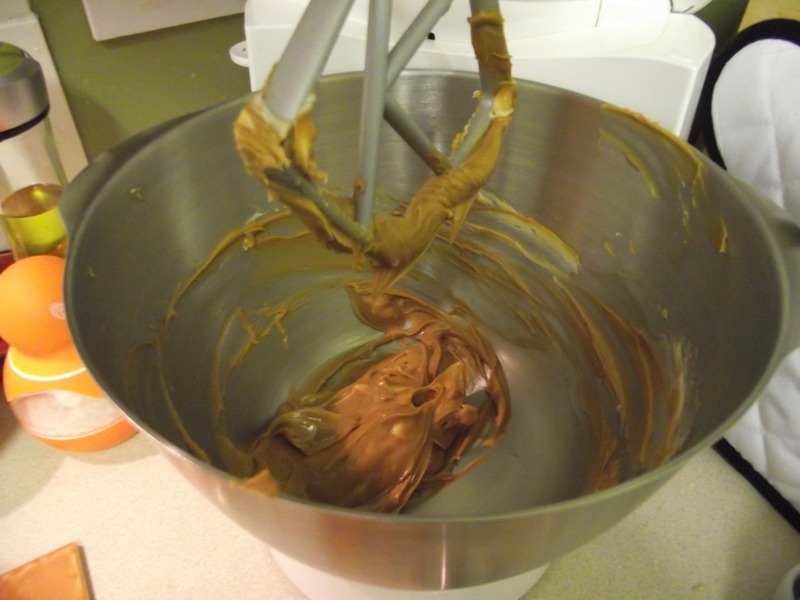 In the bowl of an electric mixer, cream together 125 grams of the Speculoos and all of the butter. Add the sugars and cream them altogether until smooth. Add the eggs and vanilla and beat until the mixture is smooth and thickens slightly. 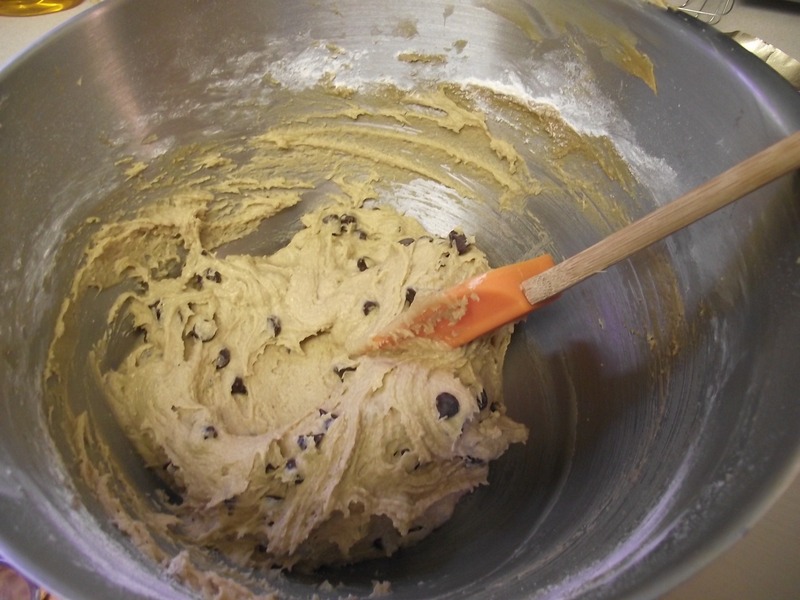 Add the flour mix and combine until no streaks of flour are seen. 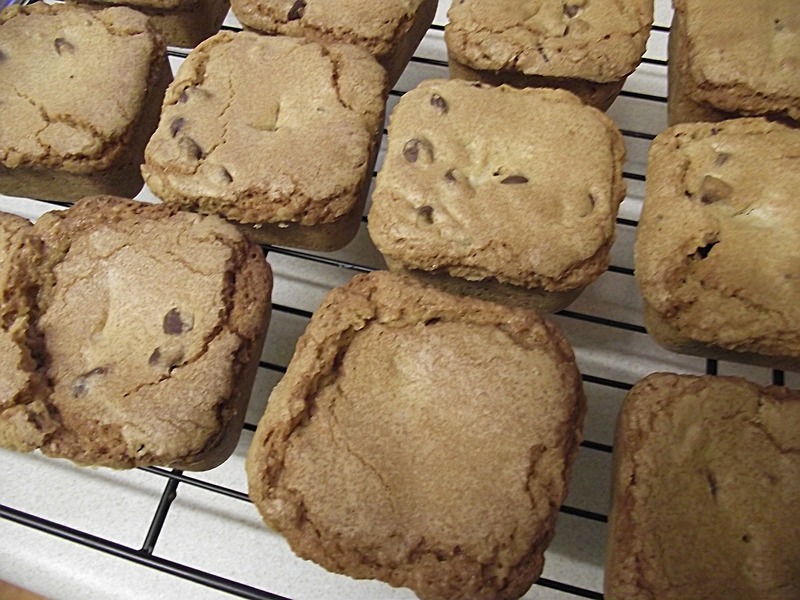 Lastly add the chocolate chips, folding them through the batter. Place the mixture into your pan and bake in the centre of the oven for 25 minutes (or 20 minutes if using an individual brownie pan like I did). Remove from the oven and allow the blondies to cool completely in the pan. Then turn them out and cut into 12 bars. Using a melon baller, scoop the centre from each blondie, taking care not to go all the way through. 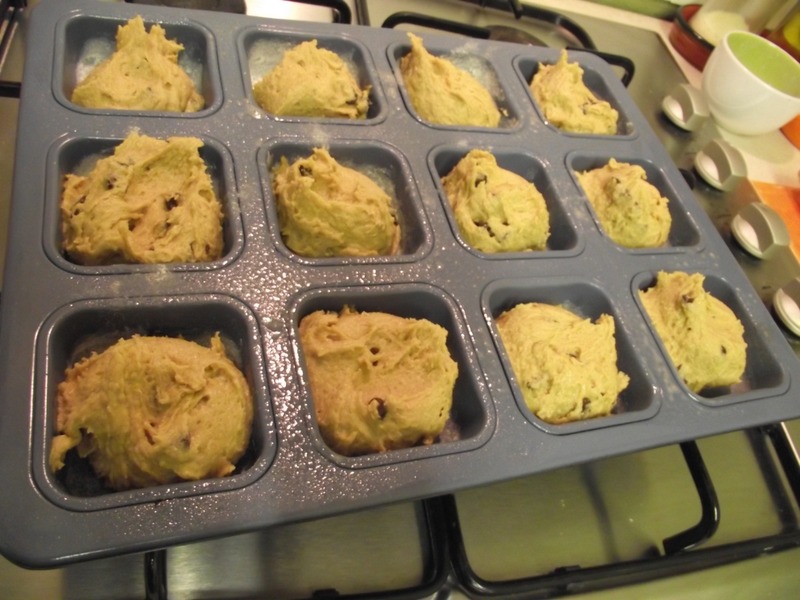 Then fill each cavity with a dollop of the remaining Speculoos. 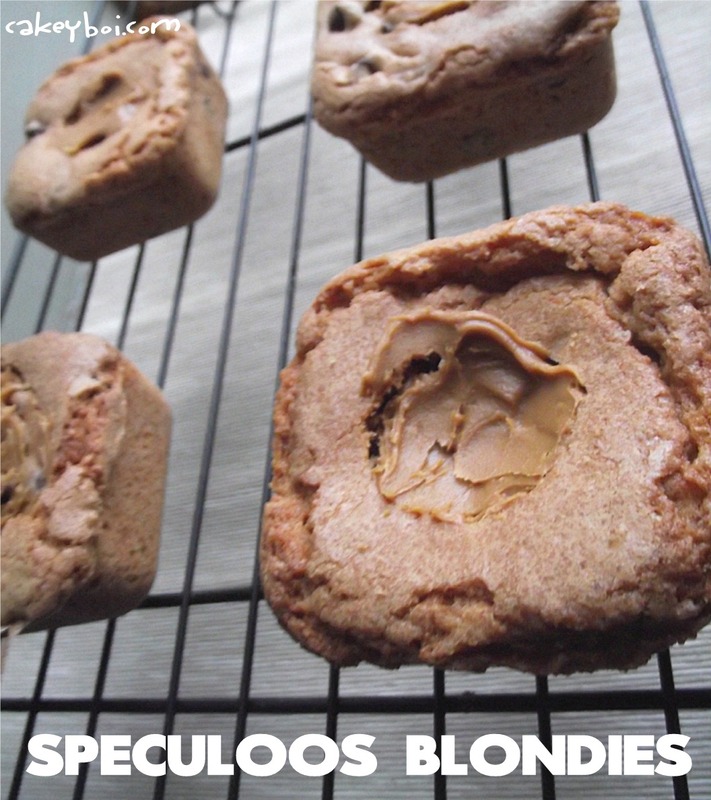 And there you have Speculoos Blondies. These are delicious, in the chewy blondie way and the caramel overtones of the Spec’ really comes through. Enjoy! Oh and I was asked to review an item called a Hoorag here on Cakeyboi. This is a stretchy tube of material which has many many uses apparently. I was told it is very good for keeping hair out of the eyes of chefs. But I forgot, I don’t have much hair, but I imagine the Hoorag would be good for that. It is good as a fashion accessory also, and on our trip to London, I wore mine’s around my neck as a scarf, as it was soooo cold. 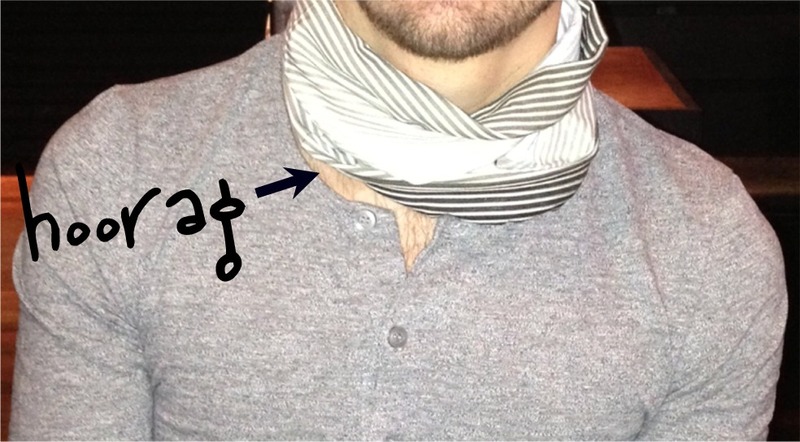 Check the website to see the different ways one can be worn and how to get hold of one! (They now have a snazzy one printed with kitchen untensils). Disclosure Statement: I received the Hoorag free to review and was not committed to writing a favourable review. The views expressed are my own.